You may not think much about the switches that sit underneath the keycaps of your keyboard, but there’s a large contingent of enthusiasts who really, really care. And for those users, Cherry’s various MX-branded switches are somewhat of a standard. Because they include a number of mechanical parts, though, you won’t see a lot of laptop-like thin mechanical keyboards or mechanical keyboards on more than a handful of laptops. The trend, however, is clearly going toward slim keyboards — and that’s not lost on Cherry . 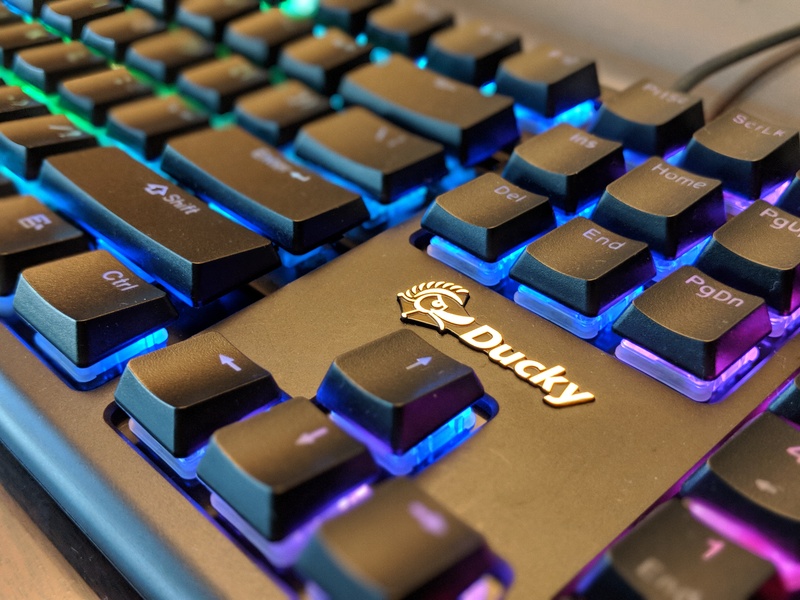 So at CES this week, the company is introducing a completely new line of keyboard switches that may just be small enough to bring mechanical keyboards to more laptops (or at least more niche gaming laptops) and thinner keyboards. These new switches are low-profile versions of the Cherry MX RGB switch, a switch that features colored LEDs and which is especially popular with gamers. 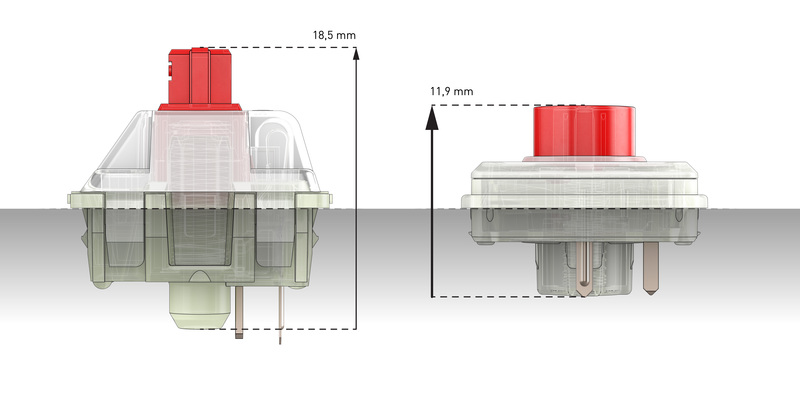 The company tells me that, if successful, it’ll launch thinner versions of its other MX switches, too. As Cherry engineers told me, the company saw a lot of interest in a lower-profile switch. The new one still allows for 3 millimeters of travel, and with a 1 millimeter thin keycap on top of that, you could build a seriously thin mechanical keyboard with these. On thing Cherry definitely didn’t want to change, though, was the “Cherry feeling” that many enthusiasts can detect with a single press. At the same time, though, the company also wanted to make sure that it could build a few innovations into these new switches. Among other things, this includes improved spill and dust protection. Cherry says that the switches are rated for at least 50 million key presses (though Cherry told me that it will likely hold up for much longer) and are 35 percent shallower than the standard MX switches. For gamers, the 3.2 millimeter of travel (compared to 4 millimeters in the standard switches) — and the shorter bounce time that comes with that — should also allow them to hit those keys just a little bit faster. Cherry is currently ramping up production for the switches, which are all manufactured in Germany. We’ll likely see the first keyboards with them hit the market within the next few months.